My 6 year-old son has for some time been badgering us to take him to a place he calls Dinosaur Island. Those of you who aren’t obsessed with prehistoric creatures, probably know this spot of better as the Isle of Wight. We took a day trip with an 8:30am departure with Wightlink taking both dogs and a car packed with spare clothing and food. It’s often reported that the Solent is the most expensive stretch of water in the world to cost and although our return ticket wasn’t cheap (£80) I felt it could have been worse for a one off special outing. It wasn’t the most auspicious of starts, two days before our planned trip to Marwell Zoo, the forecast was so bad that the friends we were going with nearly pulled out, then on the day itself, we misjudged the time needed to get the children out of the house and left our friends waiting at the gate for half an hour, but even so from the start there was something about Marwell that made me think it was going to be a special day. “Spacious” and “Beautifully landscaped” are generally not words you associate with zoos or anywhere that the public descend with children on mass, but Marwell seems to specialise in surprises, even for returners. It may have been our first trip, but our friends who had been several times before found new buildings, exhibits or cafes at every turn and we got the distinct feeling that this was a place that was being invested in and cared for. 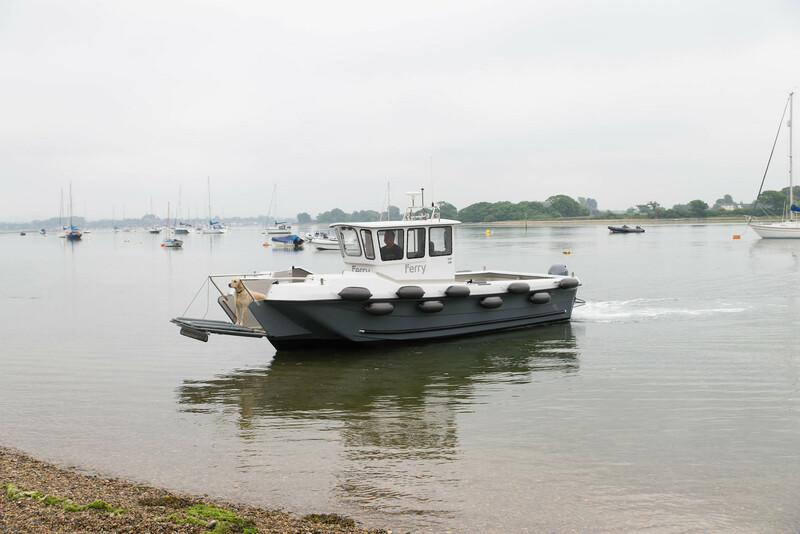 Chichester Harbour has its own foot ferry which runs around the channels in the harbour and can be hailed by anyone who needs a lift. Back when we first started visiting this area (and before we lived here permanently) it was a huge novelty. Every time friends visited we take them on it to have lunch at the pub iacross the water and we’d take our bikes on it to cycle to the beach… and then a weird thing happened, we moved here full-time and we forgot all about it. Life and routine gets in the way and suddenly you stop and take check and realise it’s 5 years since you last used it! But this week we broke our ferry fast for the very best of reasons. Theo had a school day out and the drop off point was at one of the villages the other side of the harbour. 25 minutes by car or a short drive to the shore and a 5 minute ferry trip. Why on earth would we do anything else?! We got to the shore in good time and called the skipper Andy on his mobile, a few minutes later and he and his dog Bruce bought the boat on to the beach and we hopped on board. Last weekend we had a brilliant day at the Weald & Downland Food Festival. 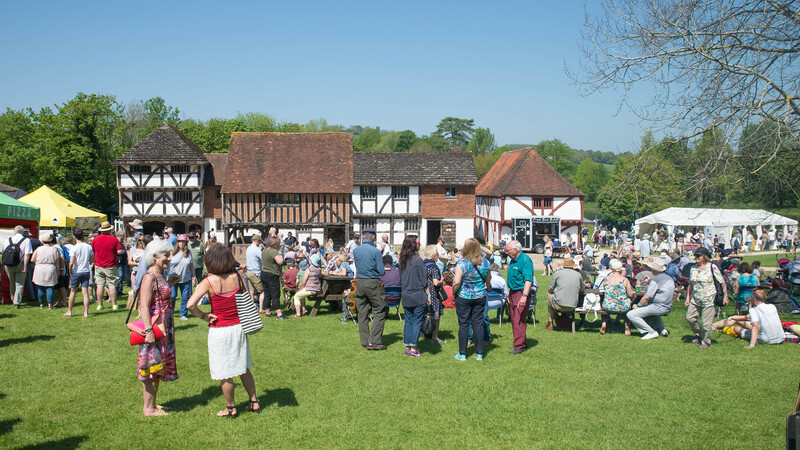 For those of you not from the Chichester area, the Weald & Downland is an outdoor museum set in 40 acres of Sussex parkland and they hold several events every year. Over the Easter holidays we renewed our lapsed annual family membership and we’ve been visiting regularly since, but this was our first time at the food fair. I am generally not one for big events, I dislike the traffic and parking problems and I don’t like feeling I’m paying a premium for things because I’m a captive audience, but persuaded by rave reviews from other local friends and because our annual membership got us in for free, we decided to give it a go. Pirates are not usually thought of as the most giving of characters, but bucking that trend last month I was involved in a skill swap with an old friend of mine who is also an author and storyteller. She laid on a complimentary pirate storytelling and treasure hunt at our house for Alice, Theo and a select few of their friends in return for me documenting the experience in photos that she could use for her website.